JASAL is excited to announce a one-day mini-conference, to be held at Kanda Institute of Foreign Languages in Tokyo, on Sat., 12th December 2015, from 10:00 to 15:30. Join us for a tour of their the two-floor SAC (VISTA ACT & VISTA SILC), and presentations and discussion on any aspects of Self-Access Language Learning. 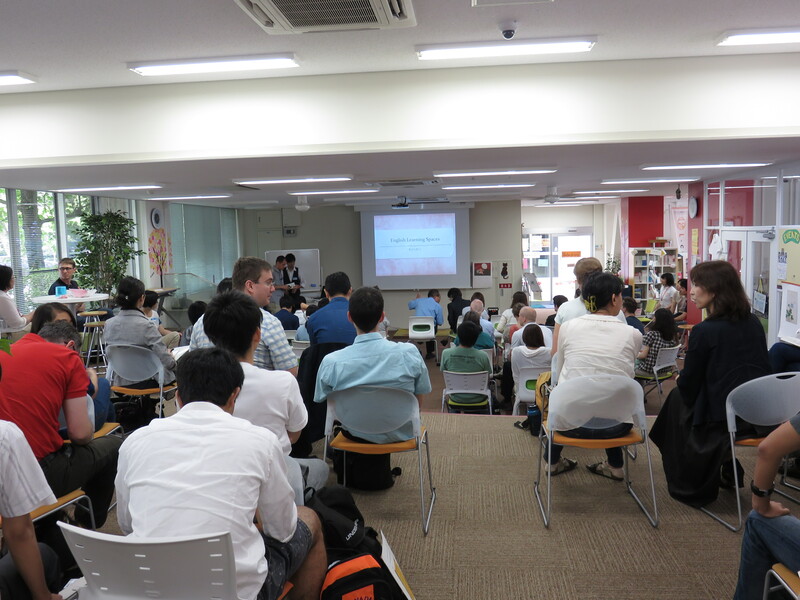 JASAL was delighted to host a very successful event at Okayama University’s L-café on Saturday, 11th July. 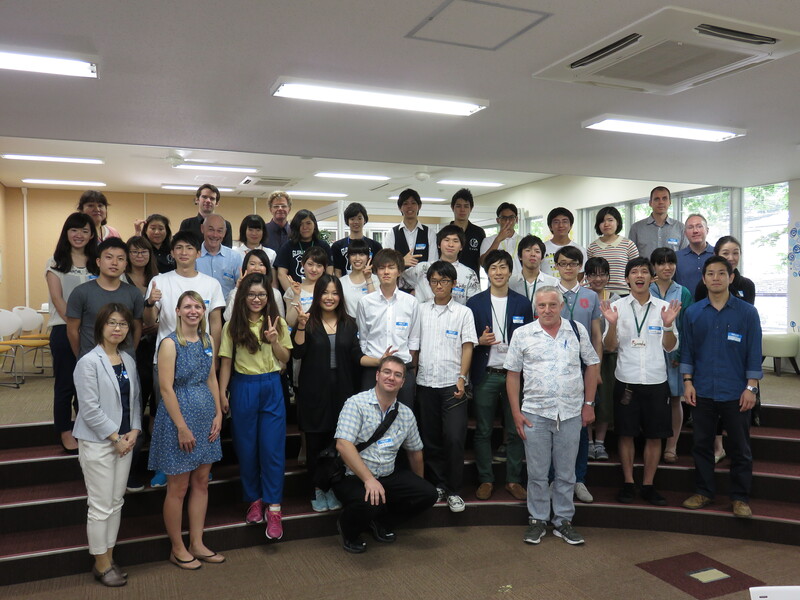 Students (and a teacher) from 7 different universities across Kansai and the Chugoku region gave presentations about their self-access facilities, and took part in student discussion. Over 60 people attended the presentation event. It was great to see the L-café, learn about other facilities at different institutions and meet so many students who are passionate about learning languages and their centres. Thank you to all L-cafe students, teachers and administrators who did such a great job of welcoming us all! Look out for a more detailed update on the JASAL Conference Page in the coming days! In collaboration with Sojo University, Kumamoto, JASAL is happy to announce the latest in its series of SAC visits, this time in Kyushu. In order to attend the event, please fill in the online application form for the Forum, stating your interest in the JASAL SALC tour. Participation in the tour also entitles you to full participation in the Forum. Normal Forum registration fees apply-￥1000 for JALT members, ￥1500 for non-members (￥500 early bird discount). JASAL membership is not necessary to join this event. The JASAL forum, held annually at the JALT conference, has now been confirmed. We have a great line up for you this year. This year we have 4 presentations from members that will be followed by a group discussion. This year’s presentation topics are setting up a new centre, attracting new users, tips for running a SAC smoothly and issues in evaluating self-access, and we welcome any issue for discussion. We hope to see many JASAL members there! For more details, see the JASAL Forum 2014 page. JASAL is very happy to announce the publication of the Student Conference Reports from the Student Involvement in Self-Access Centers Conference, held in Nagoya in February 2013. There are 5 reports from students who attended and presented at the conference, along with some contributions from the editor, Vick Ssali, and the organisers. Please feel free to share the Reports with any interested parties. JASAL and the conference organisers Umida Ashurova & Robert Croker, and editor Vick Ssali, would like to thank all the students for all their hard work in writing their papers. We hope to be able to announce another student conference soon!